This Spanish red designated Crianza is 100% Tempranillo and medium garnet in hue on the pour. There is a touch of vegetal tones with some dried red fruit. There is a firm layer of black pepper in the nose. This wine is surprisingly tasty with a bit sweetish palate but very tight on opening. With some air dried cherries abound with good structure. This is a pleasant old world wine and for $9 would pair well with all kinds of Italian foods. I made home made ravioli with Italian sausage and it was really good! Raise a glass. It had a markedly diminished bouquet compared to the Four Vines with a palate that is on the sweeter side but with big flavors of dark fruit with some Zin character. After some air time, the wine opens to a peppery and somewhat shallow wine especially compared to the Four Vines. Everyone liked this wine okay but preferred the Four Vines by far. Raise a glass of either but at $11.50 the Four Vines was not only a better tasting wine it was a better value! I grabbed this for just under $10 because I wanted a Zin that I hadn't tried and another one of the Four Vines Zins that I had, had was pretty tasty. It is a purple cherry hue with a black berry bouquet. A friend who doesn't exactly have a very discriminating palate even said, "Wow!" just upon smelling this wine. Yes it is a fruit bomb but a well made one and rather classic example of good though inexpensive Zinfandel. In the mouth it is fruit filled, robust full of dark fruit and spicy cinnamon with decent structure. As it warmed up a bit--it was in a refrigerator before we drank it, raspberry and blueberry notes emerge with some milk chocolate. Hey for the price this is a good value and good Zin! So raise a glass! This deep purple from down under is 70% Shiraz and 30% Cabernet. It shows lots of color with a fruit bomb bouquet. In the mouth this wine is popularly made with loads of black cherry fruit galore and some lingering dark fruit and perhaps some espresso. Another BIG wine from the Aussies. This wine was a gift but I believe it runs around $12 and is one of the gazillions of wines at that price point that may lack character but are drinking really well. Raise a glass. But for a couple more dollars you can actually get a bubbly with some character that will pair with foods and won't turn your stomach with sweetness. This bubbly is one such sparkler. It is made from Chardonnay although granted, it doesn't taste very varietal but it isn't bad--really. It is straw colored in the glass with fine but scant bubbles. The bouquet is thin but there is actually a hint of nuttiness and fruit. In the mouth the wine is pleasantly dry with gentle citrus notes and again a hint of nutty tastes. I chilled it well and served it with a seashore dinner of mussels and mahogany clams steamed in a garlic wine sauce. Really drinkable and for $8, why not? Raise a glass. Just arrived! I stopped in for a bottle of the 2005 and the 2006 was already in the bin. After one glass, I've decided it's not as good as the prior year. It has deep, dark fruit, coffee, and herbs, but finishes with heavy tannins that are distracting and mouth-puckering. Still, I enjoyed the wine because I was in the mood for a dark, rich South American red. In this case, it's a wine from Argentina put together by Michel Rolland and a group of others. I paid $14 on sale, marked down from $15. Raise a glass! Every now and again a wine comes along that defines what wine should be. You can read the blogs and mags and they always seem to point to the classic Bordeaux or some extraordinary, and essentially unobtainable, California Cabernet like Screaming Eagle. But the other night (NW) brought up a bottle of this Napa Cabernet which was simply one of the very best Cabernets I have had from anywhere in the world. It is a dark black cherry color with a room filling bouquet; great Cab nose and layers that unfold even as I swirl. Licorice and vegetal notes full of dark rich fruit abound. In the mouth this wine is just plain tasty and approachable with great structure and educated tannins--delicious! With time it opens to a fully sensual experience that is just juicy wine at its best. Absolutely wowing! Raise a glass if you have the means. Thanks (NW). This Grand Vin De Bordeaux from the Cotes De Bourg is a medium cherry color with some age showing in its presentation. The bouquet reveals some chocolate, berry and slightly herbal notes. The palate is subtle--classic old world wine with a touch of bitterness. Fruit is tight and needs air. With some breathing the bouquet opens up a bit to vegetal berries. It is a bit tannic with dried cherries as primary fruit. Actually this wine is pretty decent but again definitely "old world." This wine is also peaked and needs to be consumed now! Raise a glass quickly. I'm sensing the need to buy some wine so I stop at this dumpy place I know to look for a bargain or two. I see this wine and I think I remember that Beringer made a real bargain wine except I thought it was the "Stone Cellars" variety. At the price of $4.50 I figure what the heck. I put a chill on this wine and gee whiz--this is a treat to chill down and sip on a hot summer day on the porch or with a rain moving through. It is pale straw with a really nice peach bouquet. In the mouth it is sweeter than I might have hoped but is well made and carries the sweetness fine. More peach flavors and a little spice. For this price I am going back for more! Raise a glass. This oft reviewed wine by me of varying vintages continues to be a value favorite. I find it on special routinely at a place in suburban Boston for $6--unbeatable. This is the last of the 2002. It is rather dark in the glass with dark fruit of black cherry and hint of something else I can't pin down--needs to breathe. Palate is fairly austere prior to breathing and a bit biting. After even 15 minutes of breathing, the wine is changing. Bready flavor with dried cherries and dark fruit that is more pronounced. Black cherry flavors in the mouth with a touch of licorice after an hour. For the price you just can't do better! Raise a glass of any vintage of this wine. They're all good! Straw colored with an odd bouquet for a Chenin; odd not meaning unpleasant but rather stupefying as to what fruit I am smelling. There seems to be a touch of guava like a Sauvignon Blanc. In celebration of the 90th anniversary of the historic San Antonio winery in Los Angeles, they sent us this wine for our "tasting pleasure." Remember Pinot Noir is a tough grape to grow and a complex wine to make well. Wine makers, Riboli and Debons have outdone themselves on this super value Pinot. The wine is beautiful right from the first pour with a gorgeous wild cherry red hue. Strawberry and black cherry bouquet is surprisingly full. In the mouth this wine is fairly intense with a first impression of milk chocolate with fruit notes. After breathing the wine for half hour or so, it opens to a complex wine with pepper and cinnamon notes. This wine is REALLY well made and in my notes I wrote, "VERY,VERY, NICE." At $18, that's right $18, this is a super value Pinot Noir which if available in your area, definitely give it a try and raise a glass. This Spanish old vine Navarra is a blend of Tempranillo (55%) and Garnacha (45%). The Garnacha carries the bouquet contained in this cranberry colored wine with a stellar rose colored rim. Elegant strawberry bouquet with a black cherry core. It is surprisingly sweet in the mouth with a chocolate center which seems unique for these grapes. 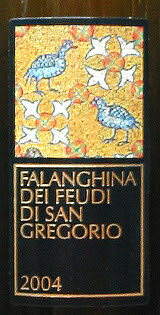 It is more new world than old in style and should be a very popular wine as it is made with the "modern" palate in mind. It makes me wonder if Michelle Roland is behind this creation. At any rate, it is really pleasant in spite of less than attractive label and name. Raise a glass because this is a nice $11 wine. Liberty tends to make solid, fruit forward wines at an attractive price point. This one is no exception with its young purple hue and big ripe plum and jammy blackberry aromas. Palate is busting with rich, full bodied jammy, and bready fruit with a core of ripe dark berry fruit galore. The tannic structure of this wine borders on voluptuous. This wine is ready to drink now but expect another popular tasting and well made fruit bomb that almost tastes "manufactured." At the $10 price point, if you don't mind petri dish wine as (NW) is fond of saying, this one is enjoyable and easy to raise a glass! After deciding this wine was a little tight- and probably too young to drink- I decanted it for an hour or so. The wine slowly opened up to show nice layers and continued to evolve in the glass as the evening went on. I didn't know much about this wine, as it's not readily available in the United States. As a result, I decided not to get my hopes up even though I really like Amarone. They can be very special wines when done well. At first, I wasn't impressed. But after considerable air, the wine began to show its stuff. 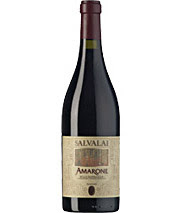 Still, I think we drank it too young as good Amarone can age for extended periods of time. Because of this, I've decided to go back for a couple more bottles to stash away for longer-term cellaring. I paid $30 for the wine, which isn't much by Amarone standards. If it does continue to evolve in the bottle and improve with age, this will prove to be a tremendous bargain price. Raise a glass! I like this Cab from Argentina better than many of the Chileans right now at the same price point. For $10, you get a wine that tastes like real Cabernet, has a nice blend of fruit and herbal layers, and is easy to drink. Raise a glass! I've enjoyed a number of super-Tuscans lately that have rich fruit while maintaining a solid backbone. This one is solid and well-structured, but lacks the additional richness. While I wouldn't put this one in the upper-echelon, it's a solid performer. It tastes young and will probably improve with age. A bottle normally runs about $32 in the store. I paid $35 for a half bottle recently at a nice Italian restaurant, with the full bottle listed at $70 on the wine menu. Hey, this is at the low end of the price spectrum for super-Tuscan red blends. Raise a glass! Reading Gaiter and Brecher in the Wall Street Journal prompted me to try this wine. It is an Italian white that sits pale straw in the glass with a musty bouquet of fruit and light melon. The palate is textured yet pleasantly sour with piercing, citrus notes and plenty of acid to cut through the richest sauces. The end is fleeting finishing with a tartness as well. The mustiness dissipates within a few minutes and it was paired with grilled Tuna which had a fruit salsa on top. The wine pushes forth a vanilla cream bouquet later in the meal. Another great food wine that scrapes your mouth clean with every sip. I paid $15 for this wine--the first of the region for me. Raise a glass to grilled seafood and sturdy whites. I bought this at Sam's Club for $22. That's a dirt cheap price for a Barolo but I have purchased other Barolos at Sam's--although not that cheap--and have been pleasantly surprised. For a Barolo--made from the Nebbiolo grape, this wine is light in color and a bouquet which is understated. Fruit is non-descript and fairly tight. This is not a good example of Barolo but then I didn't pay a classic price for it either. I decanted it and let it breathe. In the mouth this wine is rather tart and tannic with a bready, toasty front. A dried cherry nose opens but it is still tart but it is better than it was on opening. However, at the two hour mark for breathing, it improves substantially. There are rasiny notes and even the tartness resolves quite a bit. It was a good steak wine and okay for the price. I wouldn't buy another but I'm glad I bought the one. Raise a glass. This Alsatian varietal is made by the same folks who made the stellar Gewurztraminer I raved about in an earlier post. This wine--like the Gewurz--was bought on close out for $7. It has a lovely light gold color and is a little musty on opening with sweet aromas of honey and something else I can't peg. In the mouth this wine is surprisingly crisp where I had expected a dessert wine. Muscats are often made as aperitifs or dessert wines but this Alsatian Muscat was definitely a food wine. Another bargain found on closeout and as I bought the only two remaining, I have one left which I'll open in a few months or maybe another year just for kicks. Raise a glass to bargain closeouts. This wine is more modern in style than I expected. In fact, it's well within the current international style that has created some homogeneity across borders and varietals with ripe berries and heavy oak characteristics. With that said, it tastes good. 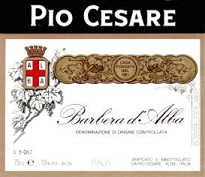 I happen to like Pio Cesare wines, having now tried quite a few. They tend to have a more modern style to their wines across the lineup, even the flagship Barolo. For a reasonably-priced Barbera from the Piedmont, grab a bottle of this wine for $14 or so. Raise a glass! I recommend this wine for a nice change of pace. There's an aweful lot of Italian Pinot Grigio being consumed lately, and this wine is something different in the $10 price range. This was on the wine-by-the-glass list at a nice Italian restaurant I went to recently. It paired well with several appetizers shared by the table. Raise a glass of interesting Italian white wine! How many times do I have to say it? Columbia Crest just makes good wine and great wine values. This varietal has ruby hue with a nice blackberry nose and really ripe plum. In the mouth this wine defies its $7 price tag. There is plenty of tasty fruit with currant notes and plenty of blackberries. It is peaked right now so drink away! How can you do better at this price point? Wine Spectator gives it an honest 88 points. Here, here! and Raise a case. Another one of Charles Smith's AKA-K Vintners- bizarre wines. Don't let the goofy label and silly name steer you away. This is one of the best Rieslings I have had in years from any country including Germany! And this one comes from Washington state. It is a pale straw colored with beautiful peach, apple and pear aromas. The palate is crisp--very crisp--tasty and juicy with flavors of fresh green and yellow fruit. This wine is just really well made and finishes with crisp pears. At the $14 price tag, buy them up and just say WOW! Raise a glass. Columbia Crest's step above their production level table wine is Grand Estates. It always runs around $10-$11 and is always really good. This is no exception. It is an intense deep purple with a cranberry colored rim on the pour and tilt. The bouquet is typically rich in varietal aromas with a nice accent of dill and licorice. In the mouth this wine is just a full flavored fruit forward wine that goes down easily. It is a little bold so pair it with something robust. At this price, you should be buying a case for your everyday drinking pleasure. After all, "Life is too short to drink bad wine!" Sure it's a jug, but it's a cute jug. And at about $7- 10 for 1 Liter, who can complain. First, this should be evaluated in its price class and not necessarily against a world class Pinot. But up against something like the 2005 Pinot Evil (click for review below) it is positively a delight. Nose: thick pinot nose of strawberry and pinot stank. Palate: a decent attempt at balance though missing the mark in favor of tannins. This still hold up well with foods like pizza with tobasco on it. Finish: dry, but there is a finish. Hints at early season (not quite ripe) strawberries. I had a glass of this side by side with the 2005 Pinot Evil from Romania and the Three Thieves 2004 Pinot Noir from California wins hands down. Not only is it better crafted, it even tastes like a pinot noir. Add in the fact that you get more for about the same price and, woo-hoo pardner, you're a-drinkin' wine! Buy this for a cheap meal accompaniment for you and your old frat buddies. Don't get it to impress the girls. Reviewing the keywords that often lead folks here yields interesting results. Among the wines folks type in to get here is one that we've not reviewed until just recently: Pinot Evil (see PB's review HERE). This is a sourced wine (meaning the winery gets the grapes from other places (Mark West winery from California is similar). The 2005 pinot noir hails from (get this) Romania (DOC Recas). Nose: bigger thicker redberry, some licorice. Where is the pinot smell? Palate: thin. biting. the kind of wine that makes non wine drinkers stay away from wine. the kind of palate that makes wine drinkers go, "I paid what for this?" Finish: finish? All I have left in my mouth is some green tree - leaf stems. Take the $7 and buy some Three Thieves Pinot Noir instead. From the Beblenheim of Alsace is a blow you away, slap me upside the head wine that blows my socks off. I bought it for $6 on close out. I bought it merely because that price for any kind of Alsatian Gewurz. is unheard of. Five years old could be a bit of a stretch as well for such a wine and since it was so cheap you tend to think--"That's why!" But hey, for the price, what do you have to lose? This wine is incredible! It is a deep golden in the glass and with the bouquet and color I would have sworn it was a Cru Sauternes! Aromas of sweet honey with orange blossoms. Shut up! The mouth is surprisingly sweet; I mean like desert wine sweet-- with solid acid and honey fruit compote that linger on a lovely base. This wine should cost ten times what I paid for it. You better believe I raised a glass--several times. German wines contain a lot of information on their label that will help you buy the right wine if you know what you are reading. There are basically six levels of quality and the label tells you which you are considering. The first level is a Q.B. A. wine which stand for a German phrase that essentially means it meets the level of quality set by the particular region in which it is made and bottled. The word "Qualitatswein" or just the initials (above) will let you know this. each having an ascending sweetness (and price) as well. This wine reviewed is a simple Q.B.A. wine which should be a basic table wine. What it is, is fantastic! From the Mosel region, it is pale straw in color with an intense bouquet of citrus and light guava with sweet vanilla. Pale yellow in the glass with banana bouquet and a rear of burnt wood. Palate is citrusy with good structure with a gentle bitterness that is attractive highlighted by a hint of vanilla cream. This $13 wine is tasty so raise a glass. The palate is rich, ripe intense with espresso mocha notes and enormous black cherry flavor with cedar at the back. This wine just keeps going with awesome wine flavors. How much for a such a special wine? Forget the outrageous prices of impossible to find boutique wines or classified Bordeaux. This sizzling Zin was $32 but forget about finding it now. If you don't have one, you won't find one. 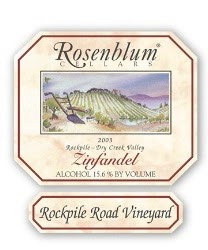 But raise a glass of any of the many Rosenblum single vineyard Zins. I haven't had a marginal one yet. Nice golden hued wine from New York with a bouquet of pineapple, lemon, and mandarin oranges with a touch of cream. This wine is bond dry in the mouth with vibrant acidity and citrus flavors with a lingering creamy finish. This is a very nice Chard and would be a great food wine with all that acid. New York can do some things well; this is a good example. At $20 it is better than expected. Huge, rich Zinfandels are in a category of their own, and this one is king! Not only is it a massive wine with a long, long finish- it's also a fairly balanced wine with interest layers. I wonder if a little extra cellar time has helped transform this from a fruit bomb into a better intergrated wine. Don't pair this with delicate or sophisticated food, though. Rather, enjoy it with a steak or something hearty. The flavors are still tremendous and will overwhelm almost anything. I remember seeing a case of this in a store in Florida two years ago for $27 a bottle. It was a Wine Spectator top pick, scoring 94 points and ending up as the number 3 wine on the top 100 for 2005. I bought just one bottle at the time and finally got around to opening it. I had to wait for PB of this blog because he's tasted most of Rosenblum's single-vineyard Zinfandels and would be able to draw comparisons. Don't miss his review to be posted in the near future.